We have exciting news! This Thursday we’re hosting our Grand Re-Opening Gala from 5-9pm to celebrate the completion of our renovations, our new dealership and our wonderful team. We would love to see you there! 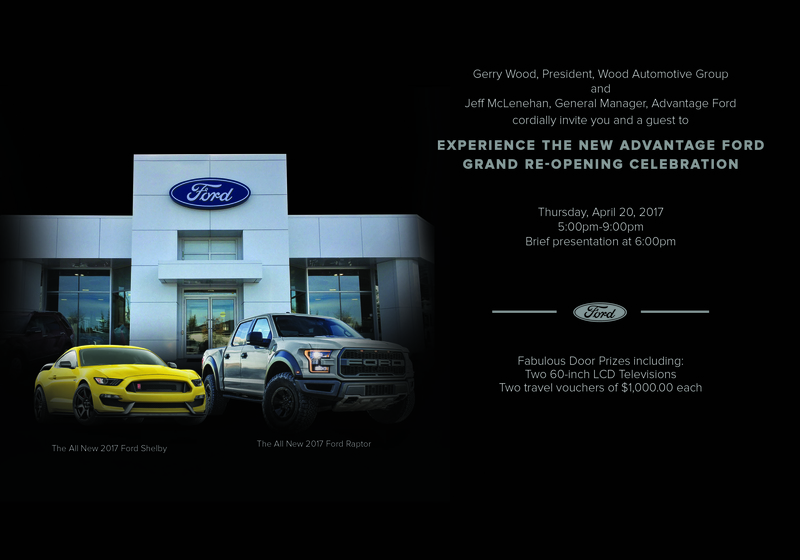 Please RSVP to rsvp@advantageford.ca or call 403-225-3627.